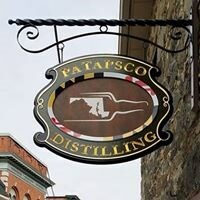 Brings to Maryland small batch premium spirits, hand made from Maryland grown grains. Wed-Thur, 2-5pm; Fri, 12N-9pm; Sat-Sun, 12N-6pm. This is a must stop in downtown Sykesville! They are located in a historic building that was formerly a Parish house. Their spirits are very good, especially the limoncello! Drop by to start your Main Street stroll.